Erasmus dancing party Dasein Bar 12 Solomou St. Exarchia Sq. h 23.00 Free entrance, cheap drinks. Nightwatch Focus on the aesthetic and cultural aspects that night suggests. Until TAF (The Art Fountation) 5 Normandou St. Monastiraki. Art Bar in a courtyard of a neoclassical building. Open from h 13-.00 till late. Clint Eastwood’s recent and remarkable burst of creativity as a director of a historical drama about Nelson Mandela, South Africa after apartheid and, of all things, the sport of rugby. What would an American, an Australian, an English, two Taiwanese, two Paraguayans, and seven Spanish do on a Wednesday morning? The Parliament was built as a Royal Palace, residence of Otto, the first king of Greece. During his reign, two successive fires destroyed the building, making it unsuitable for use as a royal palace residence, and then, the government decided to situate Parliament here. In the interior there are national treasures, such as the first Greek Constitution, and a multitude of valuable paintings. The library is worth visit. The monument of the Unknown Soldier is a sculpted depiction of a slain soldier with an inscription with excerpts of Pericle’s Epitaph and is the focal point of all national celebrations, guarded around with Evzones, wearing traditional uniform. The ceremony of the changing of the guard takes place every hour, and on Sunday morning at 11 am it’s accompanied by a military band and a large regiment of Evzones. 22 January 100% Raw Party Dj sets. (glitch n steps, funky, break beats, psychedelic rarities) Dasein 12 Solomou St. Exarchia Sq. leave him because his inept brother won’t move out of the house. The Sherlock Holmes and Dr Watson capture Blakgount Lord, head of a series of ritual murders. Before the hanging, he would warn the Holmes for upcoming projects and when he returns from the grave, the two friends will realize that all England is facing a deadly threat. Getting warm near the fireplace.. Champagne & Cake for everyone! Leo.. special guest of the night! Greek Sundays live with Stella Georgiadou. Dekko 24 Kanari St. Kolonaki. h During the dinner. Nightwatch Focus on the aesthetic and cultural aspects that night suggests TAF (The Art Fountation) 5 Normandou St. Monastiraki. Art Bar in a courtyard of a neoclassical building . Open from h 13-.00 till late. Are you an artist who plans to visit Athens? AthenStyle invites you to design your own hostel room and/or have your own exhibition in its lounge bar and basement with our “Hostel Art” project. Open to artist’s and designers, “Hostel Art” is a new initiative to expose and allow upcoming artists & designers the opportunity to display their works inside a young, youthful environment that accommodates travellers from around the world. The Hostel Art project has virtually no boundaries, meaning that you are free to design the room how you would like, keeping in mind that it will also be lived in. You may want to portray a essage, an environment, a dream – the possibilities are endless. 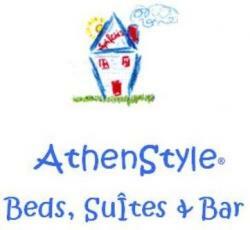 AthenStyle will contribute 80 Euro towards the materials and will provide the Artist accomoddation in one of its rooms up to a week. The exhibition will have excellent exposure on our web pages that will include photos, information about the artwork, and your full contact details. We will also promote the exhibition on the local free press. 10 January Poly Quarter Jazz sounds Place: Bacaro 1 Sophocleous St.
Margarita Zorbala has been distinguished by her career in contemporary Greek songs & Helder Moutinho is one of the distinguished male fado singers in Portugal. Don’t miss this unique collaboration at Halfnote Jazz Club 17 Trivonianou St. Mets District. (Lines 1-2 Leoforous Vouilagmenis) h 22:30. Tickets from €30 (€20 students) with drink. Monday half price. 15 Years documentation Cheapart Report of the last 15 years of cheapart TAF (The Art Fountation) 5 Normandou St. Monastiraki. Art Bar in a courtyard of a neoclassical building . Open from h 13-.00 till late.